This month, in the theme of green and in ode of Saint Patrick himself the spotlight is on the star of any herb garden…Beautiful or beauteous Basil. Just as is the case with most herbs, Fresh is best. And in fact with basil, fresh is infinitely better! Because of their luscious dark green leaves, basil bruise easily, damaging and tainting all those tongue-tingling flavours. In my opinion it is definitely one of the more inviting herbs to look at. Especially when it is shiny, plump and blemish free. There are a number of varieties of this treasured beauty that seem to have popped up on menus and in our supermarkets over the last few years. Thai basil is definitely one of those. A slightly sweet basil, with its spicy liquorice scent made famous as the star ingredient in a Thai ‘Pho’ soup. To broaden your culinary knowledge-‘Pho’ is a traditional beef or chicken noodle soup, made with rice noodles, bean sprouts and flavoured with mint, lime and of course Asain basil. I have penciled this in on my list of EATS to consume when I one-day reach Thailand. But back to our old mate Basil. Ultimately you could say that this guy has been made famous by his starring role in ‘Pesto’. That delicious concoction of nuts, parmesean cheese, garlic, extra virgin olive oil and a good bunch of the green herb himself. The thing about pesto that is so great, is that you can flavour it any-way you like, and use whatever ingredients seem to be overflowing in your kitchen. Of all the pesto’s I have bought and created, its hard to beat the original Basil. I like to eat it spread on any and everything that is willing to have it. Particularly delicious are slow-roasted tomatoes with a dollop of basil pesto on top. The perfect accompaniment to any meal. Speaking of the tomato. That flavour explosion you experience when enjoying basil is immensely complimented by a tomato in any form. The classic Italian salad known as Insalata Caprese is another opportunity where these great foods combine. Sliced tomatoes, buffalo mozzarella cheese, fresh basil leaves, some good quality olive oil and plenty of salt and pepper. Quite literally Italy on a plate. So light and refreshing, and the perfect way to let our star herb shine through. 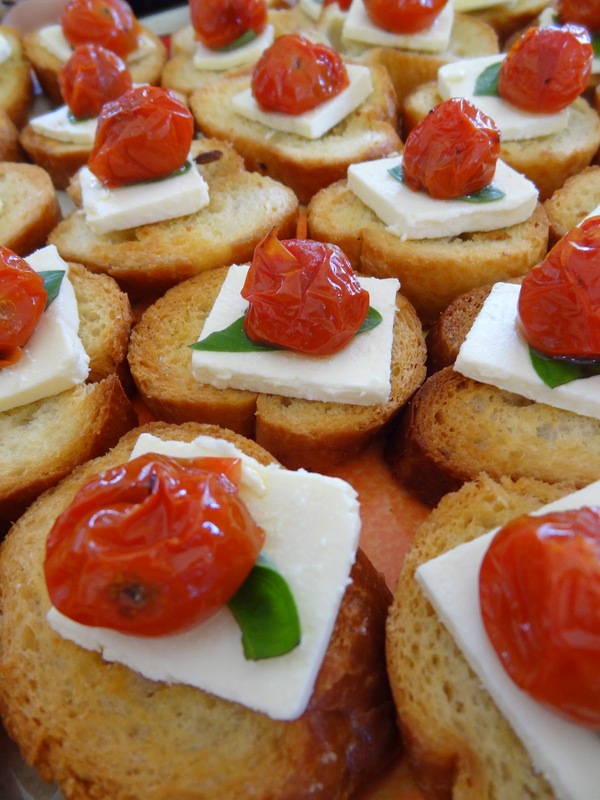 Bruschetta is another delectable canvas for basil served with a zingy tomato salsa atop toasted ciabatta. I am fortunate to have a mother whom keeps a very tidy vege garden, and so our basil supply has kept me and my tastebuds complete. If you have never experienced the joy and flavour of a fresh basil leaf, then I suggest going in search of one and giving it a try. You will not regret it. Note: He’s pretty bloody good on spuds too. Just saying.